Very comfortable and well-equipped apartments . We have used them several times and have always been happy with the experience . Lots of extra space. Good location with free parking. Welcoming staff (helped us carry our luggage to our room). Wide selection on breakfast buffet. Friendly and helpful staff. Very comfortable and well equipped apartment. There was even some milk in the fridge in the kitchen. Separate sleeping area which is very helpful for early risers! Free parking. Close to His Majesty's Theatre. Nothing to complain absolutely wonderful, the beds were very comfy and big. Staff on reception on the 14th August was professional and friendly I think her name was Patricia.. Thank you for a great stay, We will definitely be back and recommend the place. The staff was very helpful. Our room was lovely and it was an easy walk to local restaurants, shopping and the train. Comfortable bed. Loads of room in the apartment. Good location a short walk from the centre. 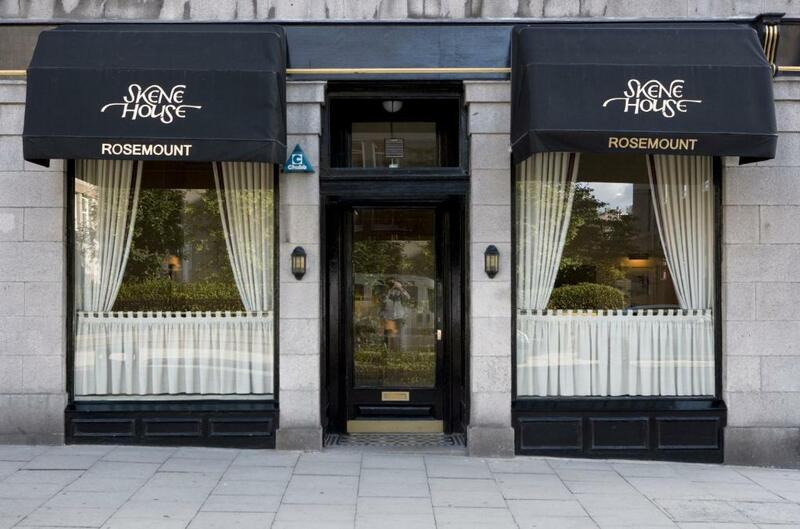 Lock in a great price for Skene House Hotels - Rosemount – rated 9.1 by recent guests! Skene House Hotels - Rosemount This rating is a reflection of how the property compares to the industry standard when it comes to price, facilities and services available. It's based on a self-evaluation by the property. Use this rating to help choose your stay! 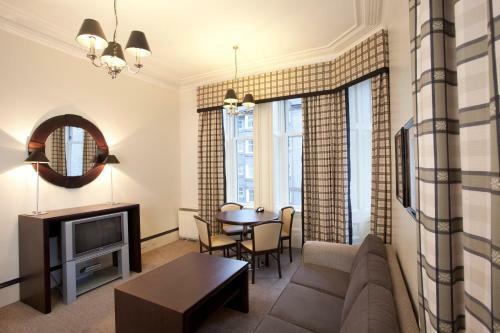 Skene House is located on Rosemount Viaduct only a few minutes’ walk away from the city center, Union Terrace Gardens, His Majesty’s Theater, Art Gallery and the Trinity and Bon-Accord shopping centers. The smart, modern suites all feature a kitchenette or fully fitted kitchen, as well as a lounge and flat-screen TV for guests use. Guests can enjoy free WiFi, free on-site parking and the option of a Continental breakfast buffet or cooked breakfast both at an additional cost. Free tea, coffee and daily newspapers are available in the reception lounge. This is our guests' favorite part of Aberdeen, according to independent reviews. This property is also rated for the best value in Aberdeen! Guests are getting more for their money when compared to other properties in this city. 뀐 Located in the real heart of Aberdeen, this property has an excellent location score of 9.2! When would you like to stay at Skene House Hotels - Rosemount? This one-bedroom apartment offers a double bedroom, a fully fitted kitchen, a lounge with seating area and Freeview TV, and a private bathroom. If guests require a twin bedroom, please contact the hotel directly. This two-bedroom apartment offers a double bedroom and twin bedroom, a fully fitted kitchen, a lounge with a seating area and Freeview TV, and a private bathroom. 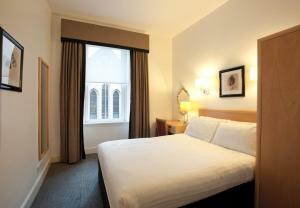 If guests require two twin bedrooms or two double bedrooms, please contact the hotel directly. This three-bedroom apartment offers a double bedroom and two twin bedrooms, a fully fitted kitchen, a lounge with seating area and Freeview TV, and a private bathroom. Unfortunately alternative bed configurations cannot be accommodated in this room. This duplex one-bedroom apartment offers space over two levels, with a double bedroom, an open-plan kitchen/lounge with a seating area and Freeview TV and a private bathroom. If guests require a twin bedroom, please contact the hotel directly. House Rules Skene House Hotels - Rosemount takes special requests – add in the next step! A GBP150 damage deposit is required on arrival (around USD194.33). This deposit will be fully refunded at check-out, as long as there isn't any damage to the property. Skene House Hotels - Rosemount accepts these cards and reserves the right to temporarily hold an amount prior to arrival. Please note that not all rooms are accessible by an elevator. Should you require a room on a lower floor, please request this using the Special request box when booking. Car parking is limited and on a first come first served basis. Please contact the property directly for directions to the car park. Contact details can be found on your booking confirmation. Pets are allowed subject to availability and restrictions may apply. You can use the Special Requests box when booking, or contact the property directly using the contact details provided in your confirmation. GBP 50 for a 1-bedroom suite. 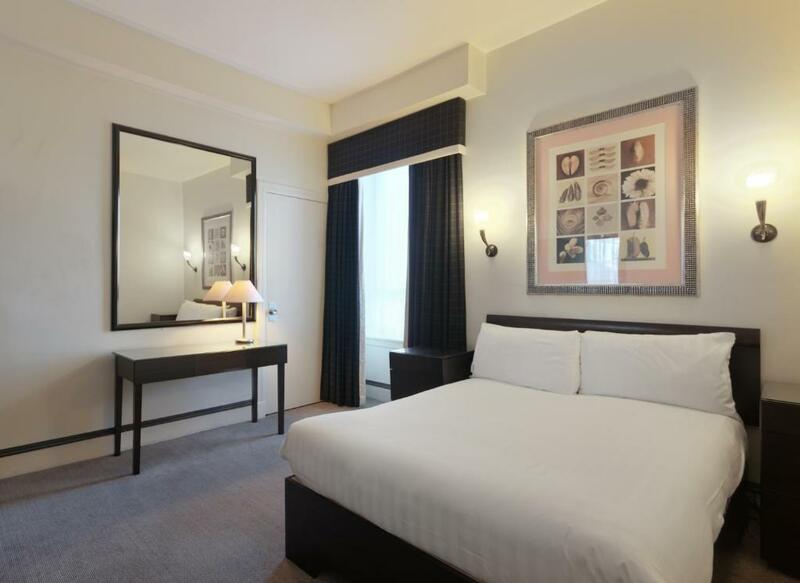 GBP 100 for a 2-bedroom suite. 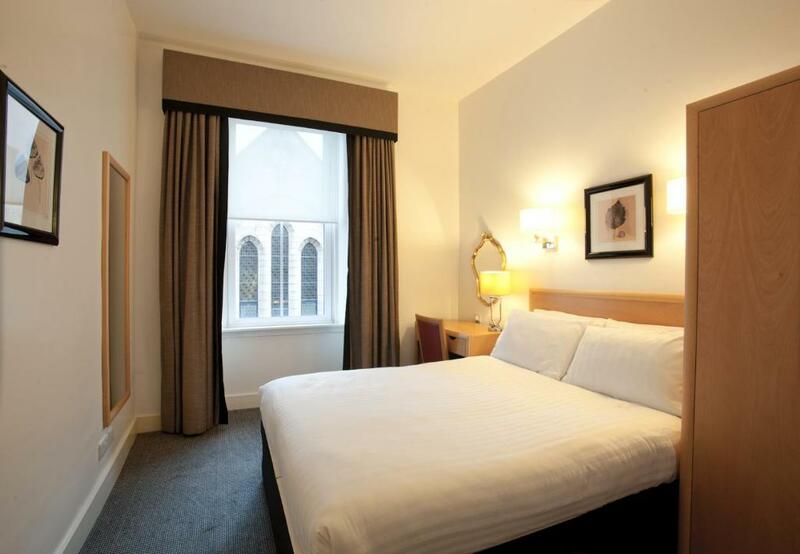 GBP 150 for a 3-bedroom suite. A damage deposit of GBP 150 is required on arrival. That's about 194.33USD. This will be collected as a cash payment. You should be reimbursed on check-out. Your deposit will be refunded in full, in cash, subject to an inspection of the property. Fantastically clean, spacious and comfortable, with every amenity you can imagine needing. This place is a great home away from home. The only problem was the hairdryer didn't work otherwise everything was great. Great value and lots of space with a separate kitchen/lounge area if you want to eat in. Extremely large step up to front door for an 81year old Lady. Notified apartments in advance of her age and mobility. Offered an apt across the road with lift but small bed and afraid she would fall out. Excellent staff and nice apartment. Close to city. Have stayed a few times in the apartments adjacent which are superb. However we were shown to a apartment in the building where the main reception is first and we were very disappointed as these apartments are very old and dated with no lift. We asked to be moved to the other side where the apartments are all new, modern and with a lift. This was done without any hesitation from the staff at reception. The key card didnt work twice however the staff remedied this efficiently. The grouting in the bathroom could do with updating in places, although the bathroom as a whole was very good. We have stayed here before so knew what to expect. It's very convenient for all places we wanted to visit. There was constant hot water for the shower and the bed is really comfortable. The apartment is well equipped and the staff are helpful and smiley. The parking is easy and very useful. There are a lot of stairs everywhere, but don't be put off! Huge apartment. Great location close to city centre. Very clean and quiet. Nice to have a lounge with papers and coffee a available all day. Breakfast was excellent. Staff couldn't be more helpful. Well equipped suites, serviced at your convenience every day. Seats in the living room areas were a little uncomfortable. Ordered a room with a double and two single beds but got 2 doubles. Great location, plenty of parking, quick deposit refund, comfy beds, perfect sized apartment for 4. Just like being in a private flat. Was able to plug ps4 into TV. Didn’t like the stairs 2 floors up with luggage in the 2 bedroom apartment , no lift ..not something they can change but perhaps the offer of taking bags to room would make a huge difference however there is a lift in the 1 bedroom apartment building . Didn’t spoil our stay and would definitely return . The apartment was fab , very welcoming receptionists , quiet area with cafes and bars nearby . Free on site parking is great .. The furnishing could use some updating. The internet connection wad unstable quite often but worked out for the most part. Very helpful staff , excellent lounge area with coffee machine, and good cleaning service. The area was nice and quiet and yet short walk from the centre. Seperate bedroom from livingroom was quite nice. The fire alarm in the building went suddenly 3 times during our first night. It was a fault on the system. Staff helped and sorted the problem for the whole building. We would have liked a toaster in the kitchen. Great appartment. Alle facilities. 5 min. work to the city centre. So nice and helpful staff. Space and all what you need for a business stay. Aberdeen is a great city to visit. Apartment was superb. It looked like it had been refurbished as everything was really clean and well maintained. Superb location for the town centre.